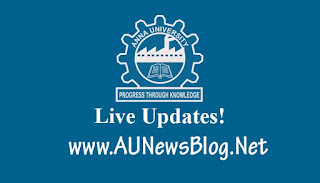 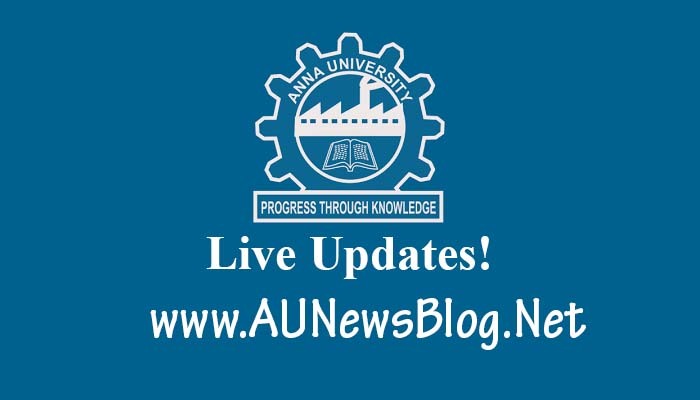 Due to Khaja Cyclone attack, Anna University postponed 15th, 16th, 17th, 19th & 20th November 2018 exams. 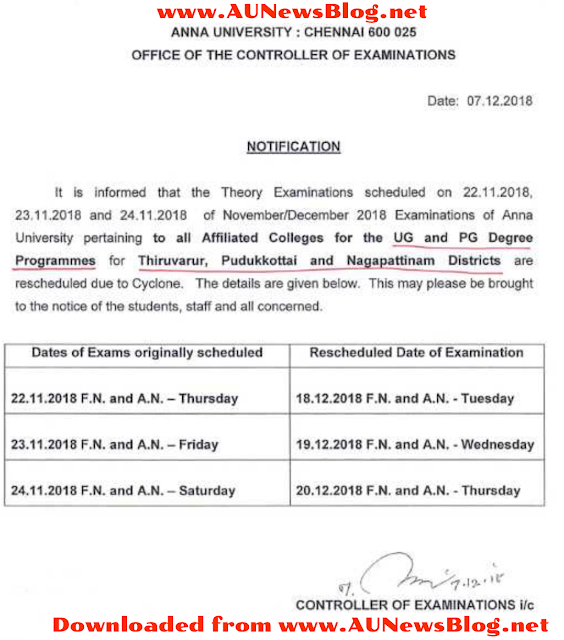 Exam Rescheduled details published below. 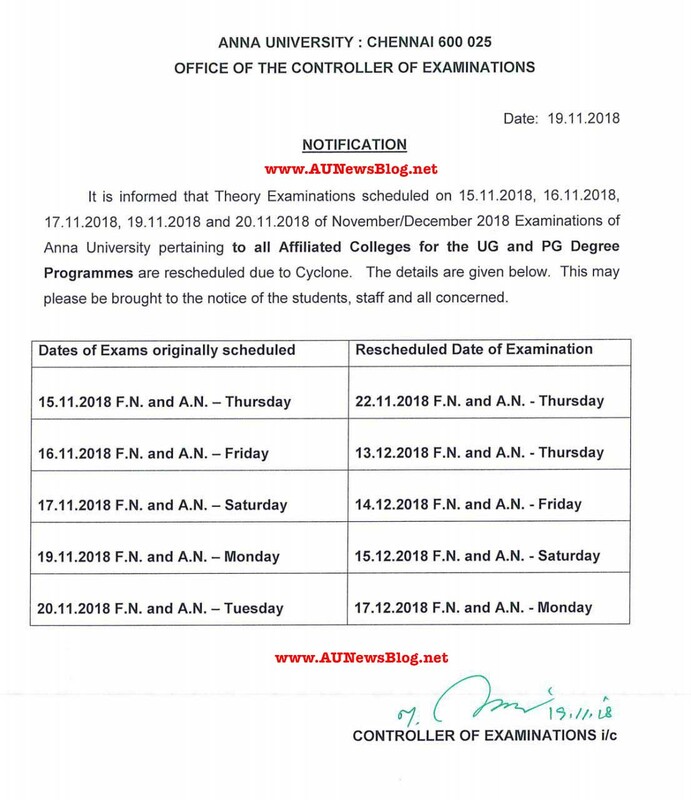 Can you tell us the rescheduled date for Nov 21, 22 & 23 Nov 2018 exams? I haven't seen any update regarding this.